While progress has been made towards achieving global health targets, this is hampered by persistent gaps in the availability of essential medicines. While ministries of health look to learn from other industries in terms of supply chain knowledge and expertise, limited empirical research has examined this process of knowledge transfer from other industries into global public health. The Yale Global Health Leadership Institute (GHLI) serves as the monitoring and evaluation (M&E) partner for Project Last Mile. Using a longitudinal, mixed-methods design, GHLI seeks to measure program impact over time, identifying lessons learned along the way. Project Last Mile is a pioneering cross-sector partnership between USAID, the Bill and Melinda Gates Foundation, The Global Fund to Fight AIDS, Tuberculosis and Malaria, The Coca-Cola Company, and its Foundation. Project Last Mile helps life-saving medicines go the “last mile” to communities in Africa, collaborating with regional Coca-Cola bottlers and suppliers in participating countries to build public health systems capacity in supply chain and strategic marketing by sharing the expertise and network of the Coca-Cola system with the local Ministry of Health. GHLI examined Project Last Mile in Tanzania. This partnership is designed to improve the availability of medical supplies in Tanzania by transferring knowledge from The Coca-Cola system to Tanzania’s Medical Stores Department (MSD). Tanzania is the largest country in East Africa, with a population of over 55 million people. 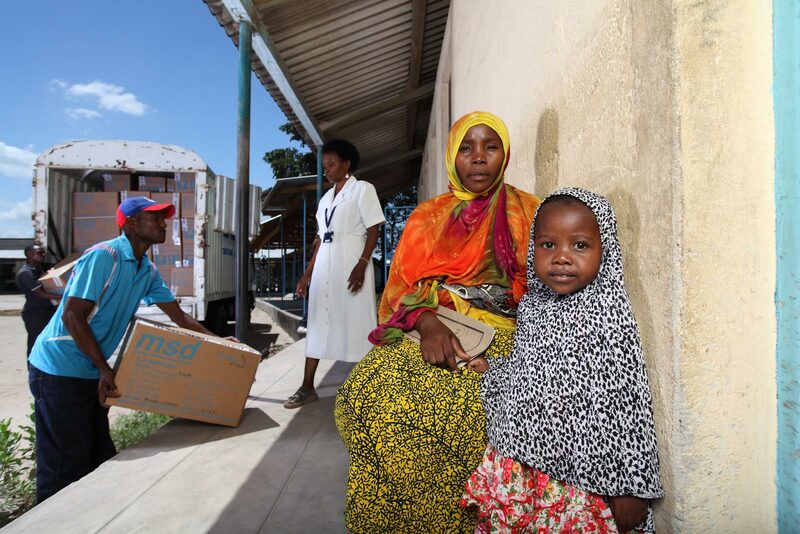 But outside the capital, Dar es Salaam, medical services can be patchy, often resulting in remote health centers lacking life-saving medicines. GHLI’s examination of Project Last Mile Tanzania sought to link theoretical constructs with practical experiences from the field, highlighting the challenges, emerging strategies, and perceived benefits of a partnership across industry boundaries, which may be useful to others seeking to promote the transfer of knowledge to improve global health. GHLI conducted a process evaluation, including in-depth interviews with 70 participants between July 2011 and May 2014, corresponding to each phase of the partnership, focusing on challenges and strategies to address them, as well as benefits perceived by partners. (3) maintaining momentum between project phases. (7) providing time and space for the partnership model to evolve. Benefits of the partnership perceived by MSD staff included enhanced collaboration and communication, more proactive orientations in managing operations, and greater attention to performance management. Benefits perceived by Coca-Cola staff included strengthened knowledge transfer capability and enhanced job satisfaction. Download the full peer-reviewed article here.